Next stop, Chuggington! 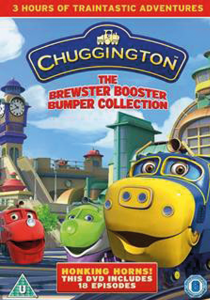 Fans of the CBeebies show Chuggington can now enjoy a bumper collection of adventures with Chuggington: The Brewster Booster Bumper Collection DVD. The DVD includes three hours of content and 18 action-packed episodes including The Brewster Booster, Koko’s New Look and Quizmaster Hodge. To enter, please complete the form below before the 1st June. For our t&cs please click here…..Good Luck!